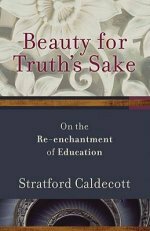 Charlotte Ostermann interviews Stratford Caldecott about Beauty in the Word, and its predecessor, Beauty for Truth's Sake. 1. Fr. 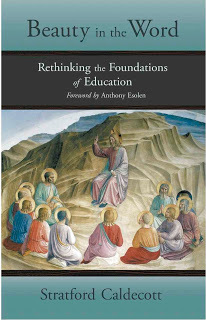 Giussani speaks of the ‘risk of education’. What risks do you think need to be taken in the education of a child? just on graduation day – may be asked to learn from the pupil. In the book I ask whether education should be centered on the child or on the teacher, on learning or teaching, and I conclude that child and teacher must be viewed as persons-in-relation, and so the correct balance is one in which the relationship between them is given its due. 2. Where, in education, does/should a student practice the exercise of his/her freedom? “Freedom” is not just for playtime or break, although playing is an essential part of education. In a sense the goal of education – certainly the goal of a Liberal Arts education, which begins in kindergarten – is the growth in freedom, both intellectual and spiritual, that comes from knowing the truth. It is the truth that sets us free. Or at least, through learning the truth – about the world, about ourselves – we gain a more important kind of freedom than any we acquire by, let’s say, increased mobility, or more shelves in the supermarket. So our education, which leads us out of ourselves, or beyond ourselves (the word educare means “leading out”), is all the time leading us into a wider world, a greater freedom. It is very important to apply this also to ethics, to the moral development of the child. We grow up these days to think freedom is all about choice. I saw an advertising billboard the other day, announcing “Freedom is Choice.” But that’s not quite true. We can have all the choices in the world and not be free, if we are not strong enough to choose the right thing, the thing that will make us happy in the long term. Real freedom is this inner power to make a moral choice and stick with it – the very old word for that power is “virtue.” The moral education of a child is the way he or she grows in real freedom. If freedom is simply choice, and it doesn’t matter what choice as long as it’s ours, then all of traditional morality looks like a set of restrictions or obstacles to our freedom, because it tells us we can do this but not that. But the right way of seeing it is to realize that having a strong moral code, and having integrity in the way we live it, is the way we grow in freedom. So freedom grows not just with truth, but with goodness, and in fact truth and goodness go together. The further you travel towards the one, the closer you get to the other. 3. The school tends to become a community for the child, but not for the family as a whole. What problems does this cause, and can you suggest remedies? The Church rightly teaches that the parents are or should be the first teachers of the child, and that the family is the first school of humanity, just as it is the first cell of society. The responsibility of the parents for the education of the child continues for many years, but there is a tendency in the case of parents who send their child to school (I’m not talking about homeschoolers here) to rely on the institution to supply everything, and not even to inquire what is being taught, and how. The parent may feel unable, whether for lack of time or lack of expertise, to enter into that process. In extreme cases this means allowing the State to educate or even indoctrinate the child. In any case, the separation between home and school is potentially unhealthy for both child and family. Naturally there will be dysfunctional or troubled families where everyone would agree it is a good thing for the school to take over the responsibility for the child’s education from the parents. And naturally, too, where the school belongs to the parish the problem of separation may be overcome to some extent. But in general I would say it is important for the parents where possible at least to take an interest in the child’s schooling, to try to follow what is being taught, and to supply what seems to be lacking, rather than allow the two worlds – that of home and of school – to become completely separated, as if they were different worlds. If the parent loves the child this interest will happen naturally, but it needs to be allowed for and encouraged. The school should help parents to know what is going on with their child, and to become actively involved if this is at all feasible. 4. In Beauty for Truth’s Sake, you call us to live the liturgical year more fully, as an immersion in the cosmic order that underlies mathematics, geometry, and the arts. What are the implications of this (focus on liturgical time) for our design of Catholic schools? Of course it has huge implications for the design of the school, and of the curriculum. A friend of mine once said of the tabernacle in the church that if you insert the Eucharist into a wall, the wall should change. Things should be so ordered as to emphasize or “teach” the presence of the Lord in that space. Similarly with time. The structure of our day should give a central importance to times of prayer, and our week be structured around the Sabbath. (You have written on this beautifully.) We should live partly in liturgical time – conscious of the feasts and seasons of the Church and the saints’ days. In a Catholic school the same is true. Without trying to force belief where there is none, opportunities for prayer and visual reminders of God should be everywhere. These can be quite subtle. In the book I argue that architecture and even geometry are a visual language. As such they can be used to convey a religious meaning, or a secular one. Most school buildings are designed to convey a secular world-view. I am not saying that you can make the school more Catholic just by adding a few pointed arches or some symbolic decoration, but traditional societies knew how important it is to surround people with reminders of heaven or of their sacred stories. We have largely forgotten this because our civilization is very cerebral, very word-oriented, very abstracted. 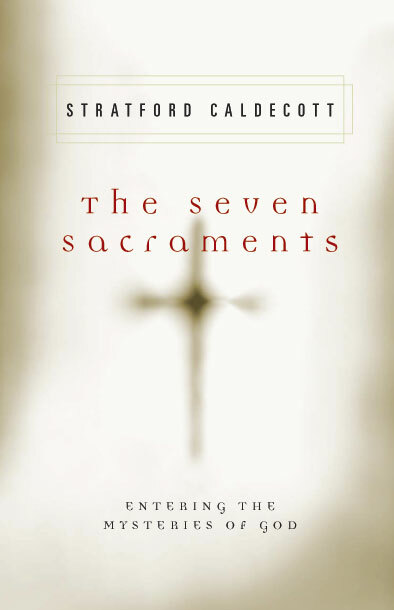 We should look for ways to nourish the Catholic or sacramental imagination without inducing a kind of spiritual claustrophobia in the non-religious. Beauty is the key – if we try to make things beautiful the job is well on the way to being done. And don’t be fooled by that old saying that beauty is in the eye of the beholder, even if it was Shakespeare who said it first. We may have different tastes and respond to beauty in different ways, but there is something objective about it as well, something universal, and that can be demonstrated. 5. Parents without a rich, Catholic, classical, musical education do not have time (during child-bearing years!) to reclaim, or recreate it for themselves. Can they learn alongside their children, or should they turn things over to the better-educated? We are always learning, though perhaps it gets more difficult as we get older. Lack of time for formal study doesn’t matter that much. We learn other things – we might be learning how to cope with stress, how to manage time, how to pray in the midst of a busy life, and so on. Let’s hope we can always grow in wisdom! Having children, even just observing them, and of course interacting with them, accommodating ourselves to their needs, creating a healthy ethos in the home, these things are ways that we learn. Following as best we can the things our children are learning in school, this is also an opportunity for us. The key thing is not to renounce all responsibility just because we don’t feel well-enough educated ourselves. We can always be involved to some degree, and if our children see in us the kind of humility that is prepared to listen to a teacher even as an adult, that can be an object-lesson for them too. 6. Great liturgy is great education. How much damage can be done by poor liturgy? How can parents respond positively and protectively when liturgy seems to fight against the formation of their kids? 7. You’ve said that all subjects should be taught with a sense of their story – the history of the subject’s development. Many of us parents and teachers have a weakness in this area. Do you have recommendations for books – upper elementary, let’s say – to help us teach children this way? Well, I wouldn’t be too rigid about this, but I wanted to make the point that every subject – every science and every art, let’s say – does have a history. It doesn’t just drop from the sky. And often learning the human story of how certain discoveries were made, how the subject has evolved through time and what it tells us about our humanity and our culture, add to the fascination of the subject itself. I thought that might be the case particularly with mathematics, for example, which many young people (myself included) have found off-putting when it is presented as a highly abstract set of rules and formulae to be learned by heart and applied to problems. A more interesting way into the subject is to be shown how mathematics is a process of discovery, in which each breakthrough is a creative response to a challenge, and each builds on those that came before. There is a human story to be told about math and geometry, and it may be that this will help to engage a child’s imagination more effectively than a purely abstract presentation. It’s a strategy, anyway. And the same kind of thing is true of other subjects. In this way, too we build up the understanding of our own culture and tradition that Christopher Dawson thought was so important. 8. There are dangers to systematizing education, and dangers to non-schooling. What counsel do you have for those designing courses, programs, schools about how much structured vs free time to allow? Be intelligent about it! And be sensitive to the situation you find yourself in, and the people you are working with. I have no intention of proposing an ideological solution, or a simple recipe for a “good” education. I just wanted to develop an approach that would respect what we know, as Catholics, about the human person. That is to say, the human person as called to fulfillment in love, and as having a “right” to be loved. And the human person as fundamentally curious, desirous of truth, responsive to beauty, possessing a moral conscience. If we get that right, we are off to a good start, and we have a better basis on which to build an educational system. Computers are another area we need to be intelligent! It is so easy to throw technology into the classroom in a way that will have a disastrous effect on education. I talk about this a bit in Beauty in the Word. Computers can make us stupid – or rather, reliance on computers makes us stupid. The availability of calculators deprives us of the opportunity to learn how calculations are made. Mobile phones in class distract us in ways that seriously damage our ability to learn. Education, as I try to argue, is largely about paying attention – the child paying attention to the teacher and the subject, the teacher paying attention to the child. Computers and other technologies have to be integrated into the educational setting in a way that does not undermine that quality of attention. 10. What do you think of all-day kindergarten? 180-day, or year-round schooling? Pre-school? Twelve-year college prep education? What proportion of a day, year, life should formal education occupy? I don’t feel able to go into that level of detail just yet. I would want to listen to the experience of parents and teachers first. The books I wrote were supposed to prepare the philosophical ground for the next phase of the project, a stage of listening and consulting that would lead in turn to the production of some practical resources for schools. Among other things, we want to give some attention and exposure to examples of good practice in education, experiments that have succeeded, new schools that seem to be getting things right – so that others can draw upon this experience. 11. There is so much to teach, and so little time! You’ve described a wealth of story, poetry, drama, sacred geometry, life-skills, math, history, science, literature, theology, and more. It is all so important, and our kids are growing past the ‘right stages’ so fast. How can we approach this all without anxiety, pressure, fear? I would say that it is important to realize three things. First, that we are never going to get everything right. We just have to try to do the best we can with the materials and circumstances available to us. Second, that children are more resilient than we think, and education is not something we have to do to the child but something the child will do for himself or herself with our help (and sometimes without us). It is a matter of kindling an interest that, once sparked, will grow into a blaze, drawing fuel to itself. The third is that, as Catholics or just as religious believers, we know that God cares for and guides each human soul, and so – thank goodness! – whatever we succeed in doing or fail to do, the child’s fate is not entirely dependent on us. 12. What deficiencies have you had to overcome in your own education? If you could master one skill you don’t currently possess, what would it be? Why? I was fortunate in many ways – in my parents, and in the schooling I received – and yet inevitably there were deficiencies and gaps. I have learned a great deal from my family, especially my wife. Leonie is a great mother and teacher, as well as writer. A lot of what I write comes from her, or what I have learned from seeing her in action. But in terms of specific gaps in my education, I never got the hang of music theory, and also I regret not mastering mathematics. In that case it was out of a reluctance to keep asking the “stupid” questions. Instead I kept quiet and pretended to understand when I didn’t, or learned the methods for getting the right answers without really comprehending the principles involved. And I regret not learning other languages, perhaps at an earlier age when they are said to be easier to acquire. I am sure a mastery of several languages is a great help in life, and a great enrichment. But I am grateful for what I did manage to learn, and to the many good teachers who helped me. I wish in later years I had gone back to thank them – I’m sure many teachers never know what an impact they have had, and how much good they have done. 13. In Beauty in the Word you say the human person should be educated for imagination, among other things. Please tell us more about how to educate for imagination. Imagination comes naturally to children, unless it is beaten out of them in some way. So we educate for imagination simply by giving it some encouragement. The best stimulus, of course, is for the parents to read stories to the child from an early age – as soon as possible. Then we encourage children to play, to explore, to invent games. We play with them, if we are able. In a more formal setting, use drama, music, dance, poetry, storytelling, mime, to teach parts of the curriculum, or integrate those methods into the teaching. Take the children, if you can, to see things and places that will fuel their imagination, even if it is only a field trip in the park, sketching plants, or a visit to the museum, looking for their favorite object and then talking about it to the class. Bring in a guest speaker or two, to tell about their experiences. Encourage children to talk to old people, even to “interview” them, to find out what the world used to be like. When teaching history, try to bring it alive, help them to see that history is all about real people and what they chose to do, and what happened to them as a result. Don’t be afraid of fairy tales and mythology. G.K. Chesterton in his book Orthodoxy writes about the truth that is in such stories. 14. What is a good approach to dealing with error – non-Catholic belief systems, heresies, disputes among Catholics, apologetics – during our Dialectic and Rhetoric phases of education? How can we equip the kids to think through to Truth without confusing them? First, you spoke of the Trivium as a series of “phases” – Grammar, Logic or Dialectic, Rhetoric – and that comes from the famous essay by Dorothy L. Sayers called “The Lost Tools of Learning.” Certainly that is a helpful way of thinking about it. The child does go through these developmental stages. But there is another sense in which the child never outgrows Grammar, never outgrows Logic…. That’s just a footnote here, although it’s important in the book. But your main question is very challenging. How do we present the possibility of error, and heresy? We are trying gradually to enable children to think for themselves: does this mean we don’t teach them what we know as true? I think Sayers was right that at a certain (early) stage, children aren’t much interested in being presented with lots of alternative views; they just want to know what’s the case, and they are looking for someone to teach them “with authority.” They are trying to orient themselves. Clearly this should be the role of the parent, in the first instance – to give the child a world-view and a framework, a sense of direction, of right and wrong. And then we have the Church. As Catholics we are on solid ground when we say that these things in the Catechism are true, and these things are not. We never outgrow the Catechism or the Creed – instead we grow into them. But it’s no secret that some drop away, and that many adopt other views. 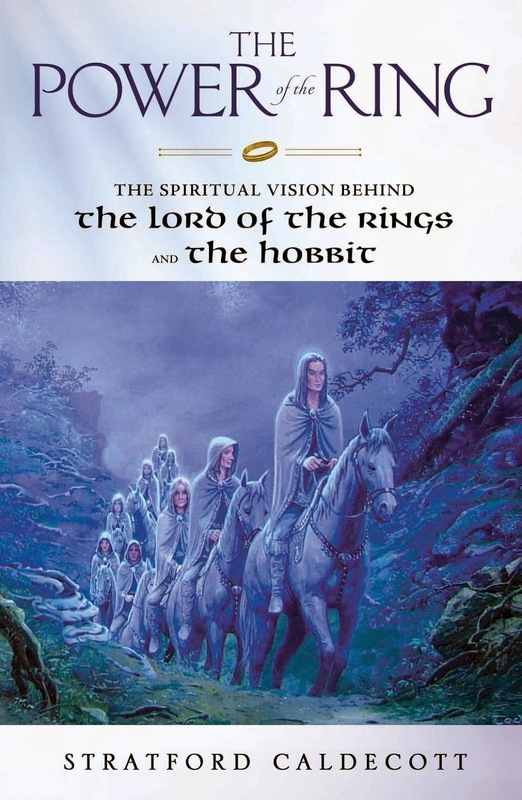 As the child becomes aware of alternate points of view, different ideas of truth, it is important that we convey that we believe what we do not just out of habit or fear, but because there are good rational reasons to accept the authority of the Church as the guardian of revealed truth – despite all the scandals, all the accusations that children will inevitably hear. We mustn’t split faith from reason. We have to be able to show that reason grows alongside faith and that both are needed, and that they help each other (as Pope John Paul II says in Fides et Ratio). 15. To join with other parents, or with a school, I give up flexibility, individualized instruction, some authority over curriculum and philosophy. What do I gain? You gain the resources of an institution to help educate your child, including experienced teachers. The child maybe gains a set of friends and experiences they wouldn’t otherwise have had. And you gain all those hours in the day when they are in school! 16. To homeschool, I place demands on myself for continuing education, judgments as to philosophy and curriculum, investment of time. What do I gain? The things you learn from teaching them. And the closeness: all those hours, months, years of your child’s life that a school would have stolen from you! 17. What questions would you ask about a teacher before placing a child in his or her classroom? Why did they go into teaching? What do they get out of it? Do they like children? 18. Catholic schools usually require university-trained, state-certified teachers whose education in pedagogy and understanding of the human person has been, at least, non-Catholic and, at worst, anti-Catholic. Where are Catholic teachers being trained to teach and to help develop schools along the lines you describe in Beauty for Truth’s Sake and Beauty in the Word? I wish I could say, “All over the place,” but I can’t. In England, the Maryvale Institute in Birmingham does a good job giving teachers a Catholic formation. In the US, I have the impression there are several good programs. But I haven’t done the research on this yet. Up to now, my interest has been primarily in developing a theory of education, and practical applications have had to wait. I’d be interested to hear if anyone knows. That'll go into the next phase of the project. 19. Your books are the kind of ‘Rhetoric’ that invites conversation, opens dialogue, asks leading questions. Your readers from all over the world are letting you know about their new educational models, experiments and ideas. Can you tell us about some of the most promising? Well, as I said, we’re still only at the beginning of this process. I am sure as the book circulates we’ll get many more people writing to us. In the book I refer to St Jerome’s Academy in Hyattsville, which I think – if things continue to go well – could be a kind of model for schools of the future. I also recently found out about the plans of the Clairvaux Institute to establish St Gregory’s Academy in Scranton. That sounds extremely promising! And there are lots of other green shoots around. Dale Alquist of the American Chesterton Society has founded a school, as has the C.S. Lewis Foundation, and I was recently in Italy where the Chestertonians have also founded an independent cooperative school. Of course there are also several small liberal arts colleges that are worth watching, including Thomas More College in New Hampshire which has recently reformed its curriculum in interesting ways. Meanwhile the Benedictus Trust wants to create the first Catholic liberal arts college in the UK, though it is still seeking support. 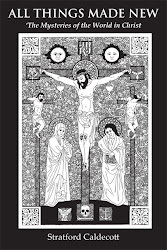 My own book Beauty in the Word was commissioned by a group in England that aims to produce a number of resources for the reform of Catholic education in the coming years. Other projects are perhaps still too embryonic to mention here. As I find out about things I will make sure to list them on my blog so that others can see what is out there. We need to pool our ideas and experience, and the blog is obviously a useful instrument for doing that. Charlotte Ostermann is the author of Souls at Rest: An Exploration of the Idea of Sabbath. Need a speaker? Great article! Many of the small "independent" (i.e. neither publically-funded nor parochial) Catholic schools in the U.S. and Canada follow the Trivium pedagogy and other principles described here. One such school, for example, is Wayside Academy in Peterborough, Ontario: www.waysideacademy.com. 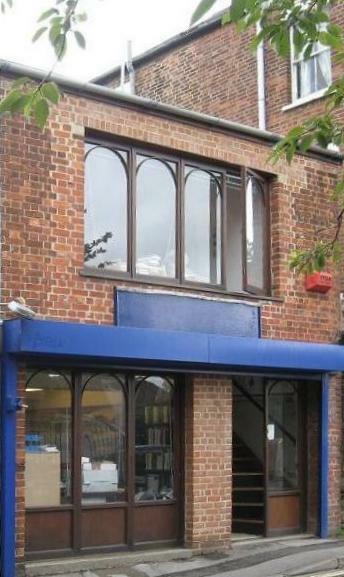 The Circe Institute has been a great help to certain schools as well.